At the LIMARP® International Center of Excellence for Obesity, we offer a comprehensive range of bariatric surgery procedures designed to promote long-term weight loss when combined with healthy diets and lifestyle choices. Among the most popular and effective surgical procedures we offer are restrictive bariatric surgery procedures, including the state-of-the-art gastric plication procedure. This innovative procedure does not require any surgical alteration of the stomach - no stapling, cutting, or removal of the stomach or intestine. This makes gastric plication surgery the first bariatric surgery of its kind: a potentially reversible procedure that does not entail the placement of a medical device such as a gastric band in the body. In discussing the gastric plication procedure during consultations at our Tijuana, MX bariatric surgery center, serving San Diego, CA and surrounding areas, Dr. Liza María Pompa González carefully explains the benefits, risks, and requirements for candidacy to patients in detail. Although gastric plication surgery has the potential to transform and even save lives, she wants her patients to fully understand all aspects of the procedure they’re considering before making the commitment to proceed. Is gastric plication surgery right for you? To find out for certain, please schedule your consultation with Dr. Liza María Pompa González at the LIMARP® International Center of Excellence for Obesity today. 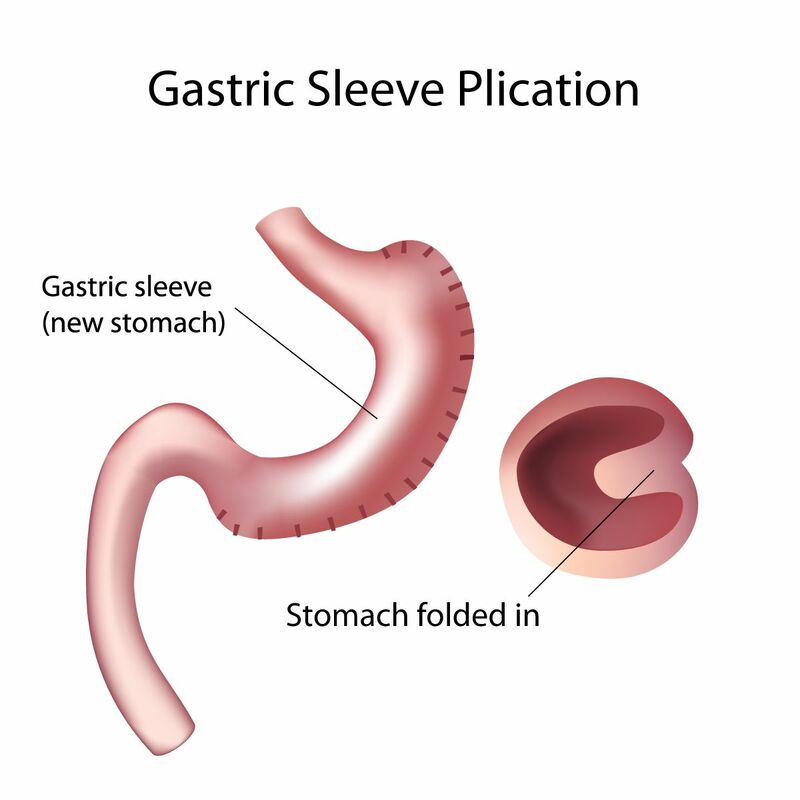 Like gastric sleeve surgery, gastric plication surgery is a restrictive procedure, meaning that it limits the amount of food a patient is able to eat, but does not interfere with the digestive process as malabsorptive procedures such as gastric bypass surgery can. Unlike gastric sleeve surgery, however, gastric plication surgery does not require the removal of any part of the stomach. Instead, sutures are used to create an internal pleat within the stomach, thereby reducing its capacity so that the patient will feel fuller sooner. As with gastric banding surgery, in which an adjustable band is placed around the stomach to alter its capacity, the sutures used to create the internal pleat within the stomach can be adjusted at any time to allow the stomach to hold less or more food. The sutures can also be removed altogether to restore the stomach to its original capacity. Are You a Candidate for Gastric Plication Surgery? Gastric plication surgery is not suitable for all patients who are struggling with obesity. Indeed, patients with a body mass index (BMI) of over 40 are more likely to benefit from a more traditional form of bariatric surgery. Have a BMI of between 30 and 40. Be willing to eat smaller portions of healthy food, exercise routinely, and lead generally healthy lifestyles after surgery. Understand the risks associated with the procedure, which will be explained during the consultation. Have attempted, without long-term success, to lose weight through traditional means such as diet and exercise. Be willing to avail themselves of the many avenues of support open to them after surgery. To learn more about gastric plication surgery, please contact the LIMARP® International Center of Excellence for Obesity today.